Congratulations to Jack Hall our Temp of the Month for January. 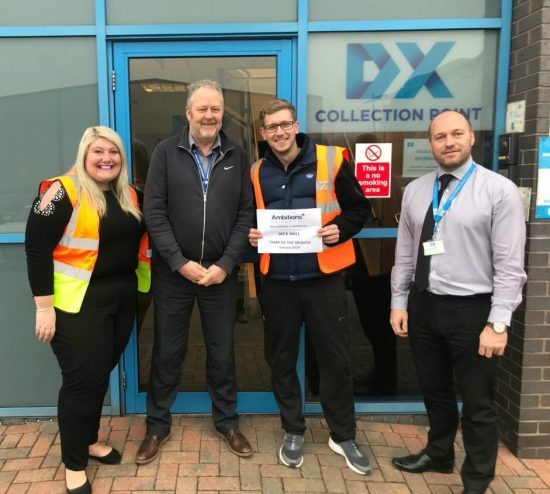 Jack has worked for 4 months and has won thanks to his exemplary attendance, willingness to cover extra shifts and his positive attitude whilst completing his drops. As a prize, Jack was presented with a £25 Pizza Hut voucher, thanks for all your hard work!